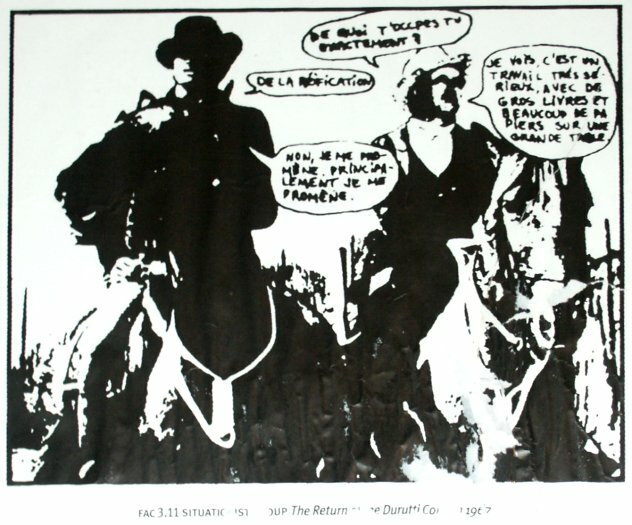 This poster was issued to members of The Durutti Column mailing list with a letter apologising for the poor quality of the poster which was severely water-damaged and torn. 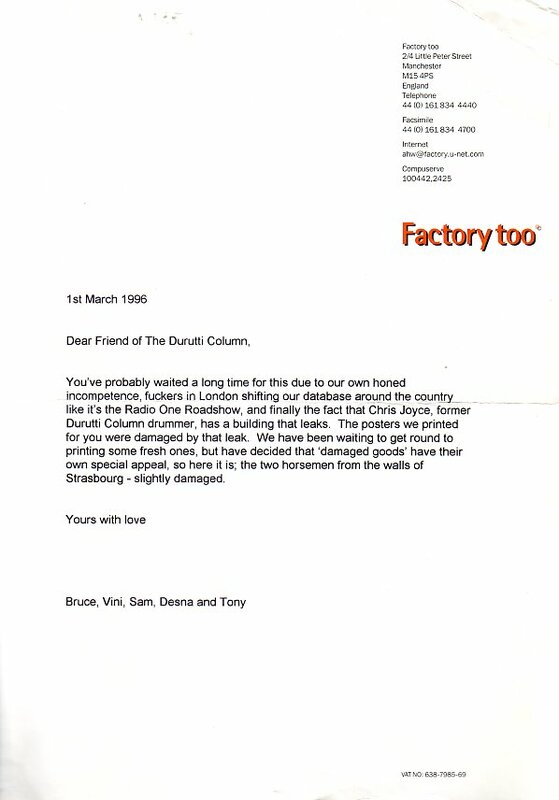 You've probably waited a long time for this due to our own honed incompetence, fuckers in London shifting our database around the country like it's the Radio One Roadshow, and finally the fact that Chris Joyce, former Durutti Column drummer, has a building that leaks. The posters that we printed for you were damaged by that leak. We have been waiting to get round to printing some fresh ones, but have decided that 'damaged' goods have their own special appeal, so here it is, the two horsemen from the walls of Strasbourg - slightly damaged. Undamaged versions of this poster DO exist.